Smartphones are pretty much common in today’s world. The commendable consistent technological evolution has made it possible to have smartphones and to keep having a large selection of Android phones, Blackberry phones and iPhones produced in the industry. When considered, we would find an interesting trend in the production of phones over the years; from landline phones to of basic phones and now, smartphones. Smartphones are a collection of Android phones, iPhones, BlackBerry phones, Microsoft phones and Nokia smartphones. They have a high level of sophistication and offer a wider range of services than basic phone actually do. Based on the brands and models, they have different price ranges. There are high-end phones, low-end phones and mid-range phones. Communication: In today’s world, you really do not need to travel miles to see your loved ones like in the olden days. With mobile technology, they could be so close to you even if they are so far from you. Keeping in touch with the people who matter to you is golden. Communication is, therefore, key, for many people who purchase phones. Internet: While calling and texting are very much important to the billions of people who use phones around the world, another major reason why people get smartphones is that they offer them access to the internet. Life is evolving by the second and whatever happens on the internet is readily now the new real life. Having access to the internet also takes the function of being in touch with close family and friends a little higher. Android phones and iPhones are designed to suit a person’s personal preference and taste. They come in different capacities and it is simply usual to have people get one because they like the sophistication that comes with them. 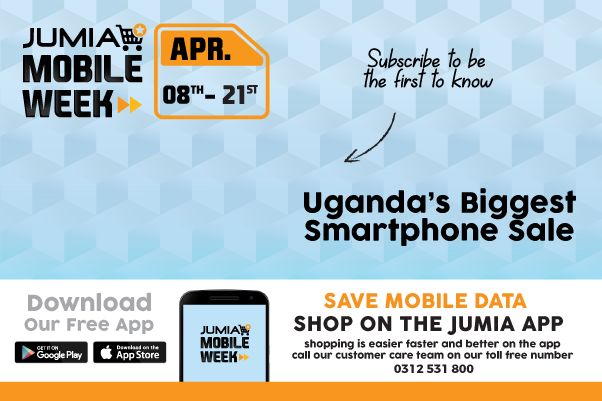 There are thousands of Smartphone models, each with features that would suit you perfectly and would also give you the comfort and the thrill you might need when it comes to having a smartphones, shop Android phones from popular brands like Tecno, Samsung, Infinix; iPhones, Blackberry smartphones and more on Jumia Uganda at the best prices.